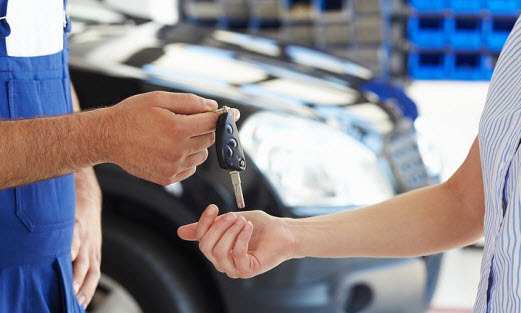 By carefully maintaining your vehicle, you increase driving safety for you and other drivers. You can be a skilled and seasoned driver, but with a poorly maintained vehicle, you can become accident-prone. Each year, thousands of accidents are a result of neglecting simple procedures to keep your vehicle maintained. It’s not just bad driving that causes accidents, in fact when it comes to the majority of automobile accidents around the world, you have faulty brake systems, worn wiper blades and tires, exhaust buildups and leaking gas tanks to blame. TCB Auto Care wants to keep your vehicle in the best care possible! Reduced pollution. Each year, your vehicle’s noxious emissions contribute directly to global pollution. A well-maintained vehicle will easily limit the amount of dangerous fumes and automotive fluids released into the air and local water tables. Lowered cost of operation. Ignoring regularly scheduled maintenance can begin to get costly. This is unnecessary when our services at TCB Auto Care are quick and inexpensive. Simply keeping up on your oil changes can do wonders for your vehicle. Less roadside emergencies. There’s nothing more frustrating then having your vehicle break down in the middle of nowhere with no tools at hand. Decrease your chances of getting stranded due to a dead battery, bad tires or a clogged transmission by making sure your vehicle is in excellent condition prior to a long trip. Call TCB Auto Care and one of our technicians can help you in this area. By sticking to a regular car servicing schedule you can help to extend the life of your vehicle, and maintain the car’s performance as well as road safety. The benefits of regular car servicing over the long term include the points discussed above, as well as improved fuel efficiency. TCB Auto Care is an expert in all areas of automotive maintenance. Come in today, or schedule an appointment with one of our skilled automotive technicians.